Search engines like Google have been deriving a majority of their traffic from mobile devices for a couple of years now. This may seem like a huge development to some, and that is because it is huge. The nature of technology continues to change very rapidly, resulting in pocket-sized computers that would have been unfeasible even a decade ago. Search engines realize that the mobile browsing experience is fundamentally different than that of a desktop experience, and have likewise forced changes on website owners, content creators and businesses. The bottom line is that mobile-friendliness is an absolute must in today’s world of online interaction. If you want to make sure your site is ready for the (mobile) masses, then continue reading. Search engines have foisted upon us some pretty lofty expectations when it comes to the mobile experience. Thankfully, they’ve made it a little bit easier for us to monitor our progress. One great way to check the mobile-friendliness of your website is through Google’s Mobile Friendly Test. A simple interface, you merely need to input the URL of a given page and click “analyse”. It will then render a verdict – as Google sees it – as to whether you’re pinging noise at mobile users or whether the design is ideal. If a page has select features that are not mobile-friendly, then the tool will provide you with that information so that any changes can be made easily. If you’re like most online brands, then you likely are using Google Analytics – at least in part – to monitor your stats. Within Google Analytics is an option to inspect a variety of mobile behaviours. In the Mobile Overview, for instance, you’ll be able to see how traffic from mobile devices is changing over time. If you’ve just made recent changes to how your website is rendered on mobile devices, this makes it possible to see when and if your changes are having an effect. Likewise, you can inspect elements such as your bounce rate across each device to see whether you are losing a wide segment of mobile users. This will tell an arguably more accurate story about how your mobile users feel than anything else. Consider this: depending on your mobile-friendly design, your website might react differently across different devices. If you have access to multiple mobile devices, then consider using each one to test your website. Whether you use your own or that of your friends, try to view your website on as many different mobile devices as possible. While tools such as the Mobile Friendly Test will examine more technical aspects of your website for any potential issues, a first-hand inspection can sometimes be better when determining user-friendliness overall. Likewise, examining the website across as many mobile devices as possible will minimize the chances of your website appearing awkwardly for some mobile users. You don’t want to be pinging noise at them in the form of a poorly-designed website. 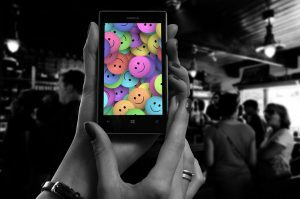 By using a combination of common sense and technical prowess, you can quickly determine your website’s mobile friendliness. What are some must-have features you demand when using other websites on mobile? Tell us below in the comments what you like to see.